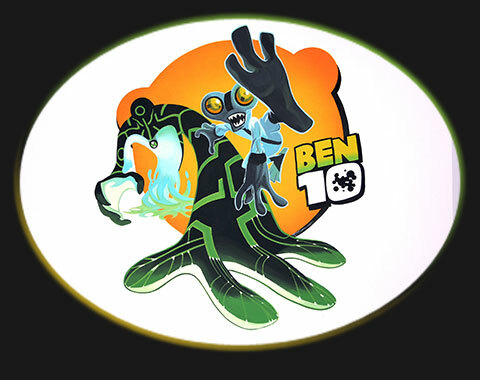 This Ben 10 mural, was painted by hand, directly on to three walls, took 10 days to paint and cost the client around £2000. Any quote for work like this would be based upon a similar timeframe and cost for the work, depending on the size, detail and difficulty, before any discounts. Ask here about a quote, and any discounts. Kids murals like this look great in a boys bedroom or playspace.